Security cameras represent a large global market driven primarily by the increased adoption of video surveillance systems for business or public-sector intelligence, as well as rising threats associated with public safety. As such, surveillance cameras are now common in and around government buildings, military posts, businesses, banks, transportation centers, casinos, shopping malls, sports venues, historic landmarks, schools and many more. Surveillance isn’t just about security any longer, but in many cases, it’s about extracting value and intelligence from the video captured. This could include retail shopper behaviors, or in managing a parking facility, or when producing manufactured products. Seeing a drone flying through the air capturing images and video nowadays from a construction site or farmland is no longer unusual. As such, the video surveillance market is experiencing burgeoning growth, and as of 2016, was valued at over $30 billion, with expectations of reaching $75 billion in revenue by 2022, at a compound annual growth rate of 15.4% from 2017 to 2022. What has changed in surveillance is not how data is captured, but how it can be used to drive actions, not only as part of a fast data application that analyzes data as it is captured, but also as part of a big data application that analyzes data when required. It’s no longer about just storing data, but what we can do with it once captured that is fueling a new generation of ‘smart’ video applications. Parking space management where analytics can be used to determine peak hours of operation, handicap parking use, areas of congestion, average parking durations and unmoved vehicles. Machine production analytics can be used to determine yields produced, failures that occurred or about to occur, machine issues and inefficiencies, upcoming maintenance and peak hours of operation. Customer retail buying preferences where analytics can be used to determine how many people entered the store, their gender and ages, in-store time spent, average spend and traffic generated by the new kiosk. Agricultural drone surveillance where analytics can be used to survey a farm and surrounding land, diagnose vegetation and crop health, determine possible yields, and track livestock and food consumption, as well as insect and pest populations. Smart city scenarios where analytics can be used to provide safety and evacuation information, and can coordinate with weather and traffic data to create the fastest evacuation routes out of a city. The need to provide intelligent capabilities within video surveillance, coupled with the development of cloud-based surveillance systems, has led to the evolution of a smart breed of cameras at the network’s edge. 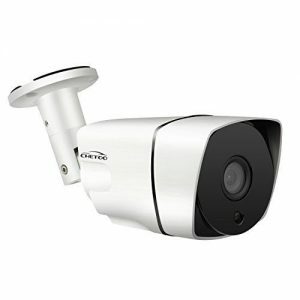 These edge-based cameras have a powerful computing element and capable storage device implemented within that enables local capture and analysis (where the data is generated and lives), providing the valuable insights in real time, without the effects of network availability or latency. Authorities are looking for a missing senior citizen with mental incapacities who may need help. They believe he entered a store and left. In a big data application, someone would have to review tons of captured video, looking backwards to find evidence of this lost soul in the store, and possibly perform some additional analysis on the data to determine his actions, identify the time he entered or left the store, and take some action. In this example, big data analysis is performed after the event has occurred. Utilizing AI and algorithms from big data, fast data responds to events as they occur. Once the senior citizen enters the store, a fast data app can perform real-time facial recognition from the video feed, comparing the senior’s face to a database library of facial signatures. If the facial signature is detected, the application can trigger a security alert to help the senior in distress and get him back to his family safely. As big data gets bigger and faster, and fast data gets faster and bigger, the storage strategy is to not funnel all of the video content to the main server, which is expensive and dependent on network availability, but instead, use a combination that stores data locally at the camera-level, as well as an edge gateway that enables video and data to be aggregated at various distances from the edge, and back to the cloud where big data content typically resides. A video surveillance system that uses edge cameras and this storage strategy will reap high system and service reliability, low TCO and the ability to scale without adding expensive recorders or servers to the surveillance system. Fast data applications for smart video are endless and have only scratched the surface of real-world use. We amass and generate large amounts of information from the increasing number of data points captured by such edge devices as surveillance cameras. Applying analytics to real-time captured data is driving new smart video applications whose video streams extract value and intelligence that drive actionable insights. Forward-looking statements: This article may contain forward-looking statements, including statements relating to expectations for Western Digital’s embedded products, the market for these products, product development efforts, and the capacities, capabilities and applications of its products. These forward-looking statements are subject to risks and uncertainties that could cause actual results to differ materially from those expressed in the forward-looking statements, including development challenges or delays, supply chain and logistics issues, changes in markets, demand, global economic conditions and other risks and uncertainties listed in Western Digital Corporation’s most recent quarterly and annual reports filed with the Securities and Exchange Commission, to which your attention is directed. Readers are cautioned not to place undue reliance on these forward-looking statements and we undertake no obligation to update these forward-looking statements to reflect subsequent events or circumstances.